The site for WeeksMD.com was mainly an upgrade to the 21st century. With over 2,800 posts already made over 4 or so years, transitioning servers and maintaining 214 categories was carefully executed. A new logo and slogan was created along the way as well. Previous content was cleaned and organized, and integration with Scribd was introduced for embedding PPT slides and PDF files inline with web content. 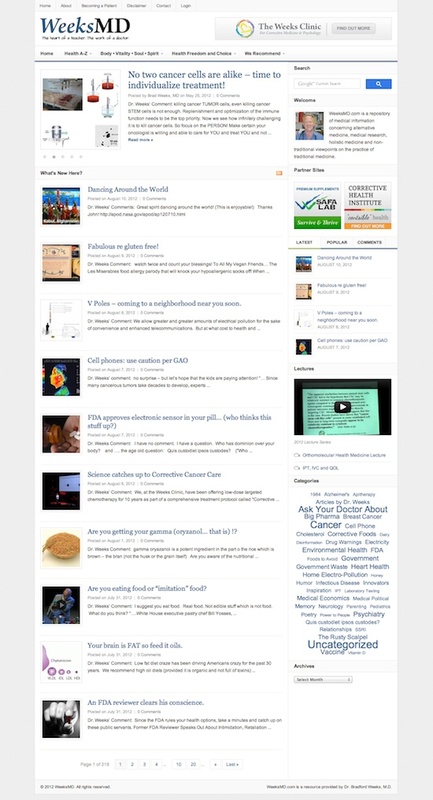 The Daily Theme is designed in the blog or magazine style with rich (and regular) content. UberMenu was used for the feature-rich navigation menus, and Google Custom Search was incorporated for improved search results, analytics (to see what people are looking for), and search engine keywords. This project was completed in September of 2011 and continues to see updates moving forward. 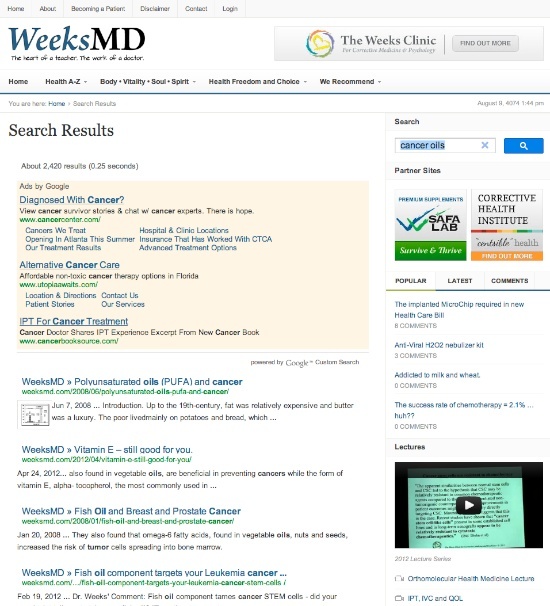 WeeksMD.com is the medical health blog of Dr. Brad Weeks, a medical doctor on Whidbey Island, WA.